Salt and pepper the meat sliced and fry with the heat high in a pot. Add vegetable sauce and diced carrot. 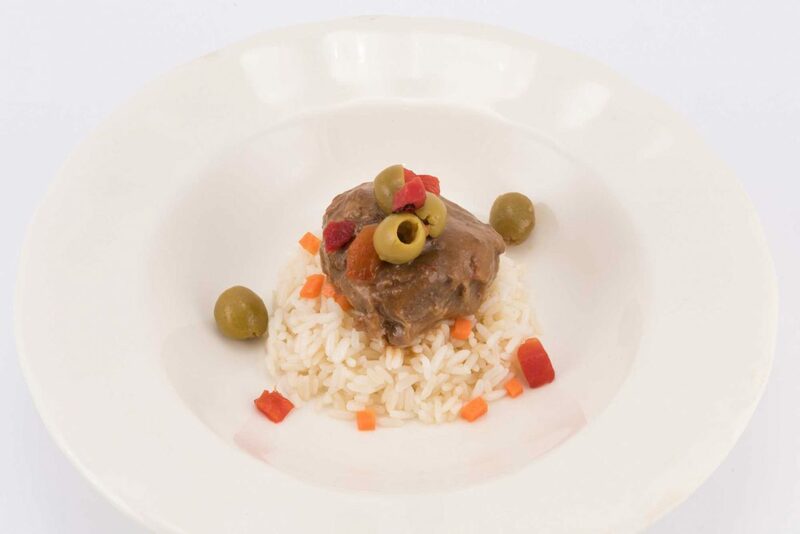 A time the vegetables are poached, add rice previously cooked and GOYA® Salad Olives. Cook until all the ingredients are well integrated.